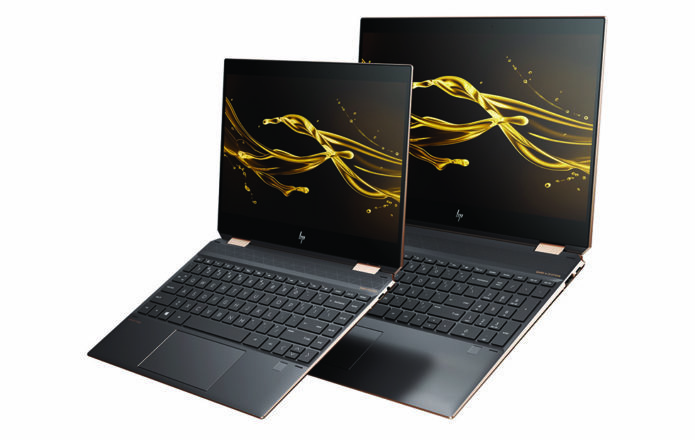 HP has unveiled its new Spectre x360 product lineup featuring the new Spectre x360 13 and Spectre x360 15 convertible notebooks. The products are able to meet various needs, offering features like very long battery life, powerful hardware in a convertible design, and ample portability with mobile connectivity, depending on model. The new HP Spectre x260 13 and 15 sport premium designs alongside modern features, not the least of which is a privacy camera kill switch to address consumers’ growing privacy concerns. Both models boast long battery life, the Spectre x360 13 at a huge 22.5 hours and the Spectre X360 15 slightly under that at 17.5 hours.